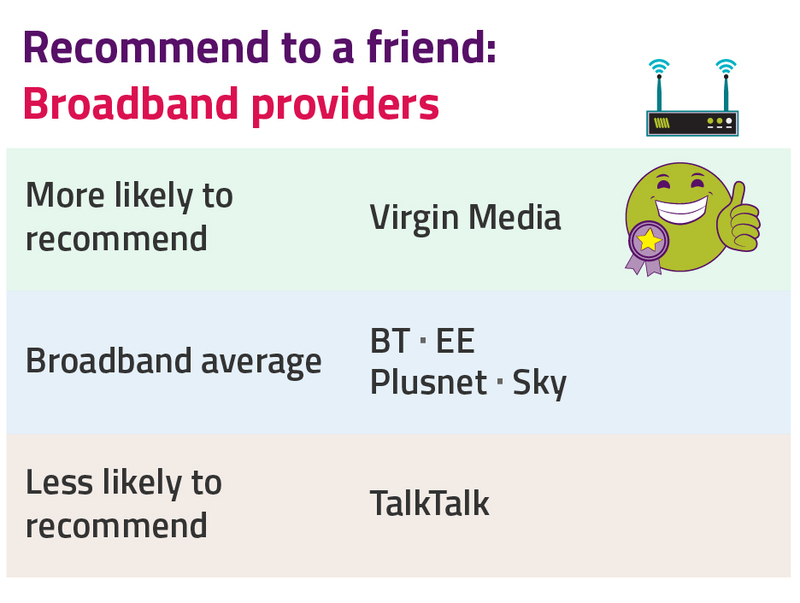 TalkTalk customers are less likely to recommend their provider to a friend, and its overall satisfaction is below average. TalkTalk scores poorly on most customer service measures. Its customers are less satisfied with reliability, more likely to have a reason to complain, and less satisfied with how their complaints are handled. 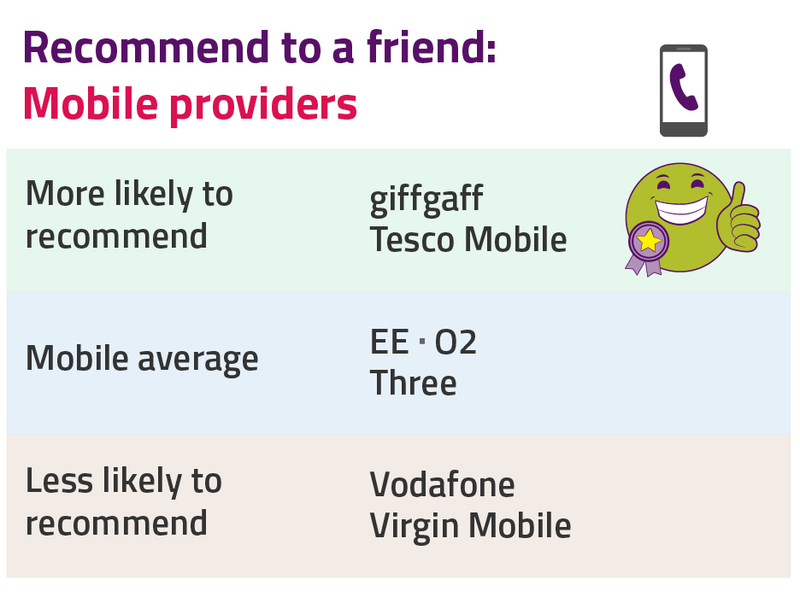 Vodafone and Virgin Mobile are less likely to be recommended. These two companies also score below average in a number of satisfaction rankings, particularly when it comes to handling complaints. 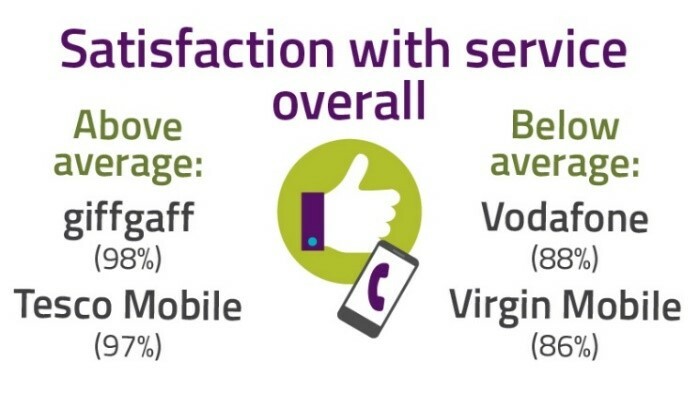 Tesco Mobile, giffgaff and EE generally score highly compared to the sector average across several measures of service quality.